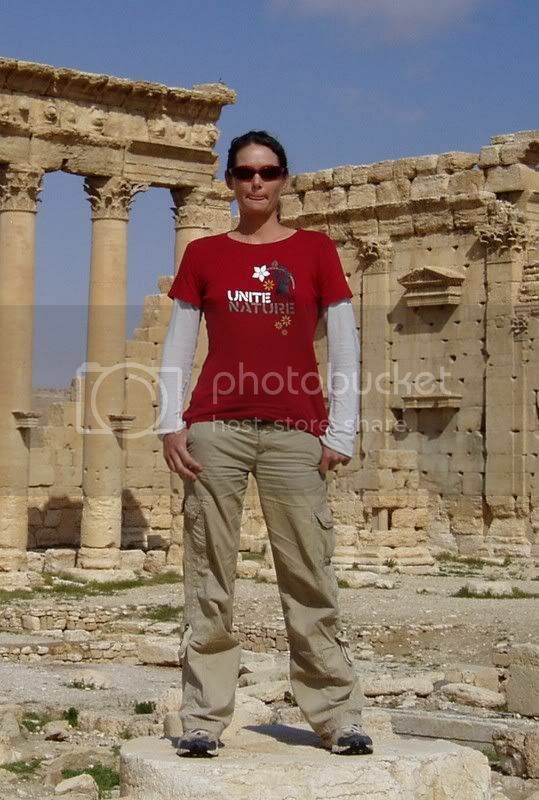 I am a Canadian young woman who lived in Egypt for 2 years and travelled to Jordan, Lebanon and Syria on several occasions. Ive been to the Cairo hotel in Hama and I wish I could you in anyway to find your sister but Im not residing in the ME anymore. Be strong and courageous! I wish you all the best. Other sources confirm the information in this bulletin and further indicate that Syria is also acquiring resources and implementing plans for war with Israel. This creates an insecure environment for travel in general and may cause Syria to restrict access and/or limit their ability to cooperate with your investigative efforts. You misunderstood the article. It has been like this for 40 years! I would put this link on your downloads page and explain that they can right click on the download link and select copy shortcut and then paste it into the free pdf reader page where it accepts links. Then people can see your pdf files. I would also change your downloads into different formats (.jpg and .doc for the posters) and Microsoft works (*.wks) and text (*.txt) files for other things. Also, if you can just put copies of the lists embedded on the webpage it would be a big help so people don't have to do a download to see them. By the way, I can't find them (the guest lists). I am using IE 7 I think. If it is difficult for you to figure out how to make the webpage, use googlepages as your secondary pages and link to them from your main page. Googlepages is super easy -what you see is what you get- to use. So what I mean is, use your .com page as your main page but use the googlepages for other pages esp. ones you update often (and it is free). Also, can you add a place in your form for tips to upload files? I can't remember if you put one or not. People can easily upload any files they make for you. 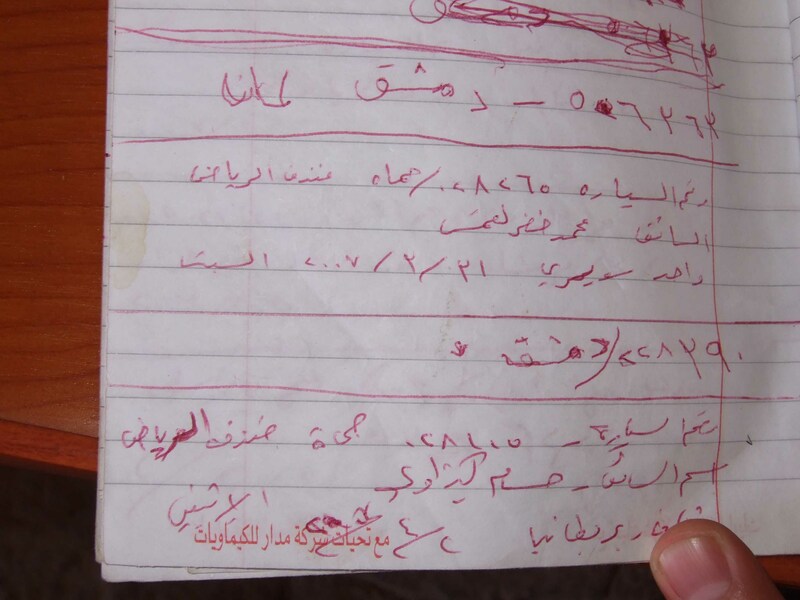 Did you ever get an 800 number that people in syria can call? If nothing else, perhaps ou can get a local number with voicemail that emails the messages to your account. Skype might allow that if they have local Syrian numbers (have no clue). Do you think Nicole trusted strangers too much? Like would she have ridden in a car with just anyone (a truck driver for example)? Did you check truck driver routes? Re: Was she too trusting? Nicole didn't trust anyone quickly, but based on her earlier journal entries, she was still willing to hitchhike if that was the only way to get some place. The people of the Middle East are incredibly friendly and throughout Africa it is common to offer rides and hitch, so that's a likely possibility for her disappearance. She wouldn't have gotten in if she got a bad vibe, and was very safety conscious. I'm not sure how to check truck driver routes? Can you explain a bit more? Check the link..they may be able to help. I've been following the story of your sister for awhile and my thoughts go out to you and your family. Have you thought at all to checking other countries, like Lebanon to see if maybe her passport had been stamped there? Eitherif she crossed over or if someone crossed over using her passport, that would be good information to have. I think it is a great idea to track her passport number. Can the Syrian government tell you if someone left the country using her passport number? The thing is there are a lot of foreign refugees in Syria right now and a lot of them would buy a Canadian passport in order to get into another country. I think though that once they arrive at another country they usually destroy their fake/stolen passport so your best bet would be if the Syrians track passport numbers upon exit. Sorry to hear about your sister..
prayers do nothing. God doesn't pick and choose who is going to live or die or be killed or found.. Being positive that your sister can endure anything and that if she is captured that they are not brutal. Re: Sorry to hear about your sister.. Sorry but your comments are useless, you know as much as any of us. I presume you need our politicians to put pressure on other countries and medias. I think it would be very hard as an individual or family to do that alone. Your blog so far seems to be doing well, what about appealing to "gossip bloggers" (Like Perez Hilton)? It may help gain broader readership internationally. I feel awfully flakey to have suggested it, but who knows if it's helpful advice. Perhaps have your MP and MPP find ways of getting international media attention. How about contacting the Canadian Ambassador's office in Damascus, who in turn, could chat with his/her opposite numbers at the other embassies there, and ask them to relay the details to their home countries' media? It might work, if only as a travel advisory, or a means of soliciting info about the foreign visitors at the Cairo and Riad hotels. Matt, thanks for telling us that making a donation now, rather than later, would make a difference at this point in time. I'd been planning to do so, but just hadn't done it yet. Hope my small contribution can help. I agree the ad cost seems crazy, but it's not too much if it helps to find Nicole. Don't hesitate to do it, you never know. I've been reading your site daily in the hopes that one day, I'll be able to see you report that she was found alive. Good point about reminder to donate. I kept putting it off myself. It just takes 2 minutes of your time. Readers, please donate. A small amount from many people can make a HUGE difference. Alot of users are posting good questions/answers in this comment section - perhaps you could tidy up this section also by posting answers to these questions or unanswered questions on your site. I made some comments before and you seemed to implement them, but didn't mention my other idea of searching local morgues and giving them your photo of Nicole in case she's there/shows up...sorry had to mention it. How about tracing her footsteps with a recreation, getting a woman who looks like Nicole, wearing the same clothes to visit the places she went to...maybe can jog someone's memory. Maybe you could get the local media to report it. I agree with another user, you need more exposure. You're doing great getting Canadian media involved, but I'm thinking it's giving Canadian newsmakers a story rather than helping your case - but any news is good news. How about targetting Canadian celebrities to get promotion. One well known one is Mike Myers who's just released Shrek 3. If he has a blog, perhaps he could kindly mention your story and link to your site? I was also thinking about getting Syrian Celebrities and their blogs involved, but can't think of a famous Syrian at the moment...can anyone suggest a celebrity and their blog? Are you getting 3 days worth of 3 full page colour ads in 3 popular Syrian newspapers? The price doesn't sound so bad. Unfortunately, I think you are being quoted 'foreigner' prices, hence the outrageous sum of money they're asking. Even with fierce negotiations, the price will be still be up there because of this reason. My thoughts are with you and your family during this ordeal. I met Nicole a few years back through one of her friends. Would it be possible to view satelite spy shots? I thought you could view a mouse from those things. Could they spot her activity on that day? I am an expatriate Syrian. My suggestion is to talk to someone local to advise you on the value of the $15K ads in the paper. How many copies do they sell? Do people really buy them? Do they distribute them well in all of Syria. Mind you they are 90% propaganda. My guess is that they will help you reach the simple people living in remote areas who cannot afford better journalism and if this is the case it is worth it. It's being handled by the Canadian Embassy, so we're trusting their knowledge of the local newspaper scene. We're presuming it's the biggest daily papers in the country, and as you say, we hope to reach the more remote areas yet also spread as wide a net as possible in case a possible witness has moved on. this link " http://www.rowad.org " belongs to a camping team in Syria, We used to camp around Homs and Hama and being in touch with area locals, I left the team since I moved to Egypt, Try to contact them they are popular and friendly in Syria hope they can do anything, this E-mail address is for their boss " biro@scs-net.org " as they mentioned in their website, to browse the site in english use the " http://www.google.com/translate_t " service, wish you can get Nicole back soon. I guess everyone is checking by land, but what about by local rivers/lakes? Sorry to ask a silly question, but are her posters in the reception of the last hotel she was staying in. Travellers she was friendly with may return to the same hotel a few weeks/months later and then realise she is missing. I think you need to get local media involved. The paper and poster idea is good, but a bit quiet and you have to catch people at the right time/place. We went to Aphamia by minibus. It's best to take a (cheap) taxi to the busstation which is about 2 km outside of Hama. We had to change minibuses once. They dropped us off at the Museum of Aphamia which is quite nice with some great frescoes. We got in for 100 S£. You can also do this as an organized trip with the Cairo hotel. They will take in the Qalaat Shayzar, a fortress on the way. Then you have to go up the mountain for about 1 km to the actual site. You have to pay again to get in (300 S£). The site is actually a road of 2 km boarded with columns." - the deserted city of Serjilla (150 S£) and Al-Bara (free!!). These cities have pretty well preserved Roman houses"